Crossover SUV, or tall wagon—which suits you best? Both the Toyota RAV4 and Kia Soul offer great packaging and cargo versatility. But that's about where the similarities end. They might not be two you'd typically cross-shop, but they're both great alternatives to basic sedans for cost-conscious small families or urban commuters. Across a sea of genetically ambiguous wagon-ish vehicles, the Soul and RAV4 stand in sharp contrast. The latest RAV4 is solidly a compact crossover SUV, with available all-wheel drive and dimensions that stack up right along with the CR-V and Escape, its chief rivals. The Soul might be nearly a foot and a half shorter, as well as narrower, but there’s something to be said for its packaging, which brings nearly as much real-world-usable space. These two models are both very popular, yet they’re pretty much polar opposites with respect to styling. 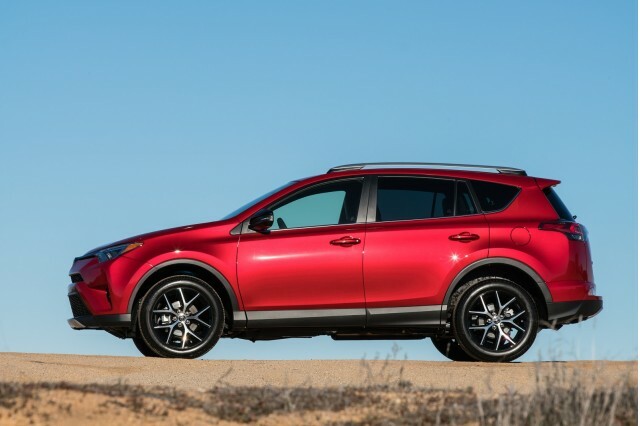 One of them, the RAV4, essentially plays it safe, with a profile that blends in alongside other affordable compacts like the Honda CR-V, Chevy Equinox, and Mazda CX-5. Up close, it’s far from inspiring; although a refresh for the 2016 model year fine-tuned some of the details and added more soft-touch surfaces. The Soul, on the other hand, makes a memorable, unique statement from first glance, and we’d call it the winner from a style standpoint. Its blunt front end and boxy shape and silhouette are unmistakable, as is its roofline, which appears to float over a blacked-out greenhouse. Altogether, it adds up to a look that’s distinct but not too gimmicky. On the inside, it’s mostly good stuff, although a bit more small-car ordinary, with some nice details, including available LED cabin mood lighting. Performance for both of these models is far from stellar. We’d place both soundly in the adequate category, but driving enthusiasts or anyone with serious performance expectations might want to look elsewhere. 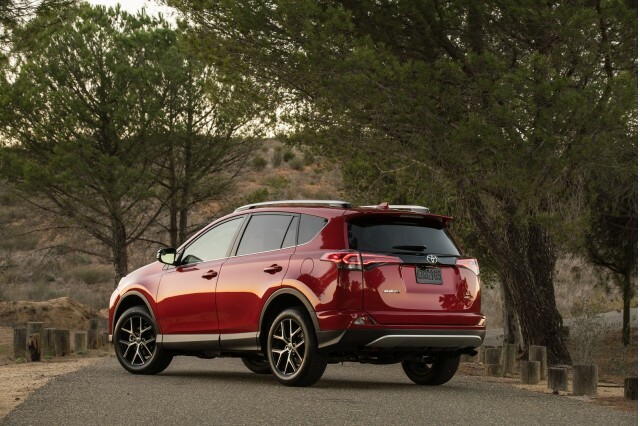 The RAV4 does just fine with its base 176-horsepower, 2.5-liter 4-cylinder engine; a new Hybrid version has 190 net horsepower, a 33-mpg combined EPA rating, and more responsive feel. The RAV4 rides and handles like a relatively nimble sedan, especially in SE trim, which gets a slightly stiffer suspension tune. Four-wheel drive is an option, and there’s even a 4WD Lock mode for predictable traction in snow or mud. As for the Soul, 4WD or all-wheel drive aren’t at all offered, so again it’s a bit difficult to compare. Its driving manners are essentially like those of a soft-riding compact car. We’d recommend that you go for a Soul Plus with the larger 164-hp, 2.0-liter engine; this engine is effective in moving the Soul quickly enough with the 6-speed automatic transmission, although the combination can get quite boomy at times (like up long grades or with a few passengers aboard). A 6-speed manual is offered on the Soul, but only with the smaller engine. A high-powered 1.6-liter turbo-4 is available in Soul Exclaim models but pushes the price up close to a starting RAV4. The Soul maneuvers really well around tight spaces—a definite advantage over the larger RAV4—but for both of these models the steering itself suffers from a lack of feedback, and weighting could be better. You might find a quick consult of the official interior specifications for these two models a bit surprising. Despite being a class apart with respect to exterior size, they’re near equals in terms of EPA passenger space, and their all-out cargo space isn’t too far off. Credit the Soul’s boxiness. In reality, the usability of the two cabins is a bit different. Both of these models have back seats that aren’t as comfortable as what you’d get in a mid-size sedan; they make some compromises in contouring and support in the name of flat folding for expanded cargo space. The third-row seating option the RAV4 offered in its last generation is now a distant memory, and both models have a reasonably spacious back seat. Where you’ll notice the Soul’s smaller dimensions is in its width; placing three adults across in the back seat is pretty much impossible in the Soul, but doable for short stints in the RAV4. Ride quality is quite impressive in either of these models, but we’d probably give the RAV4 our comfort preference for its generally quieter cabin. The RAV4 is strong on safety. It earns five stars overall from the NHTSA and a Top Safety Pick+ award from the IIHS, and it includes automatic emergency braking as standard. The latest Soul gets five stars in all crash categories from the feds—though it lacks forward-collision warnings and automatic braking. Outward visibility in either of these models isn’t ideal, however. The Soul may be a class below the RAV4 in size, but it doesn’t skimp on features. 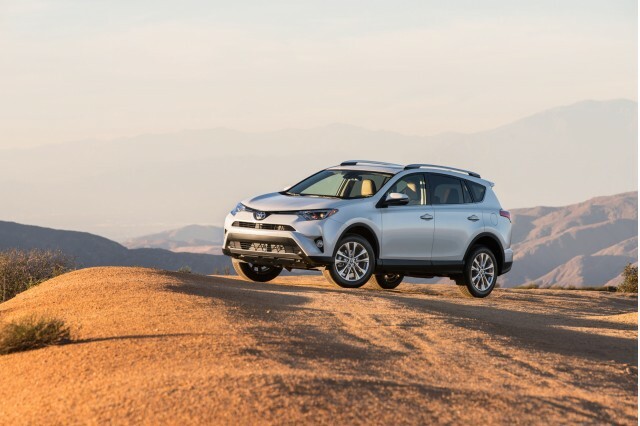 Especially near the top of their respective lineups, you might argue that the Soul is the better-equipped of the two, as it offers things like ventilated front seats, heated rear seats, and a heated steering wheel—all of which aren’t offered on the RAV4. 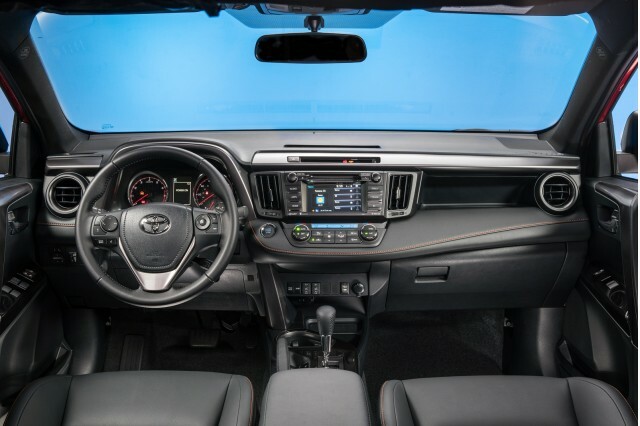 The Soul offers a pretty great infotainment system, with UVO eServices telematics, but we’d probably give the 576-watt JBL audio and Entune app-based infotainment system in the RAV4 a nudge ahead for audiophiles. 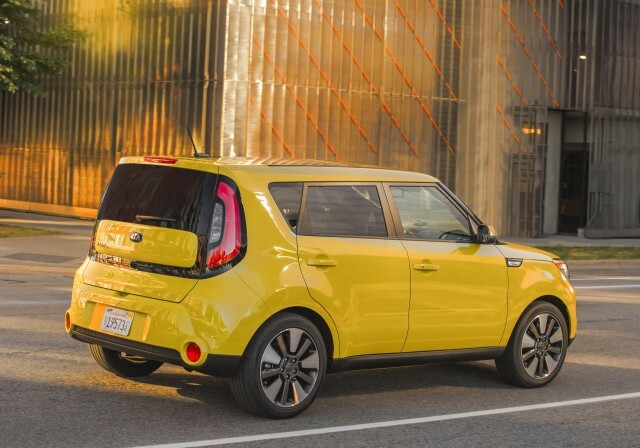 The affordable, practical 2016 Kia Soul has a boxy style that fits right into urban environments, yet fits a lot inside. 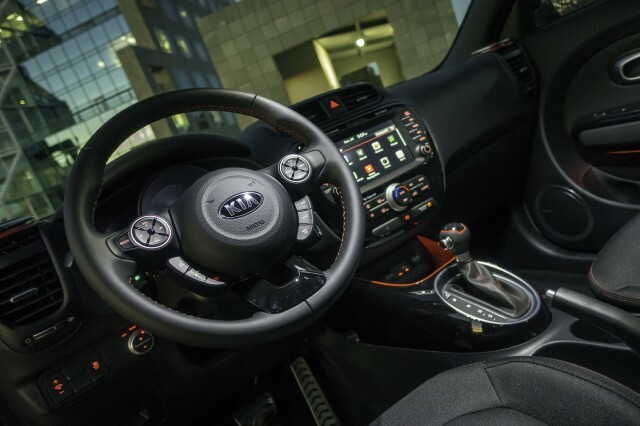 The Kia Soul makes good in all ways—with a sensible interior and a stylish, unmistakeable exterior and profile. 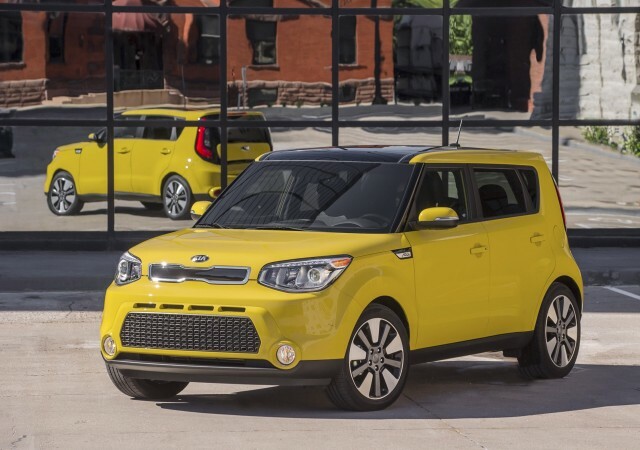 The 2016 Kia Soul isn't sporty, but with the 2.0-liter engine it's sporty enough for most needs. The 2016 Soul manages an astounding level of space and versatiliry, all in the parking footprint of a subcompact car. A stronger body structure and reasonably good set of safety gear makes the Soul one of the better small-vehicle picks for the safety-conscious. A heated steering wheel, cooled front seats, and HID headlamps are offered, but the base model is a great value. 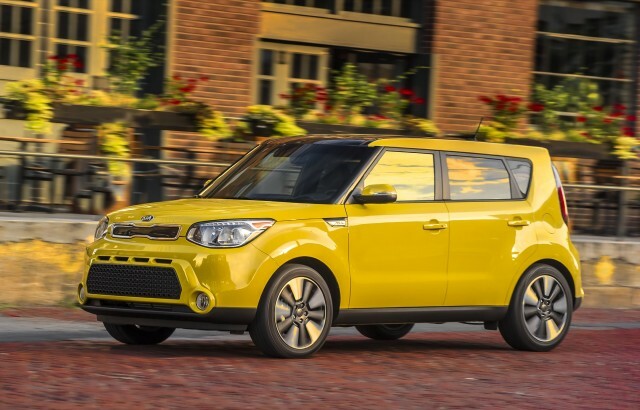 You pay a price in mpg for the boxy body on the highway, yet around town the Soul is as fuel-efficient as any other small hatchback or sedan. There are no Toyota dealers in our network that are located near the ZIP code. We have sent your request for price quotes on the 2016 Kia Soul and 2017 Toyota RAV4 to the dealers you requested. They should be in touch shortly. Your request for a fast, free price quote on a 2016 Kia Soul and 2017 Toyota RAV4 is in process. The CarsDirect Dealer(s) listed below will contact you shortly to discuss your request and to provide a quote.